‘Teen Mom 2’ Proposal Faked for TV? 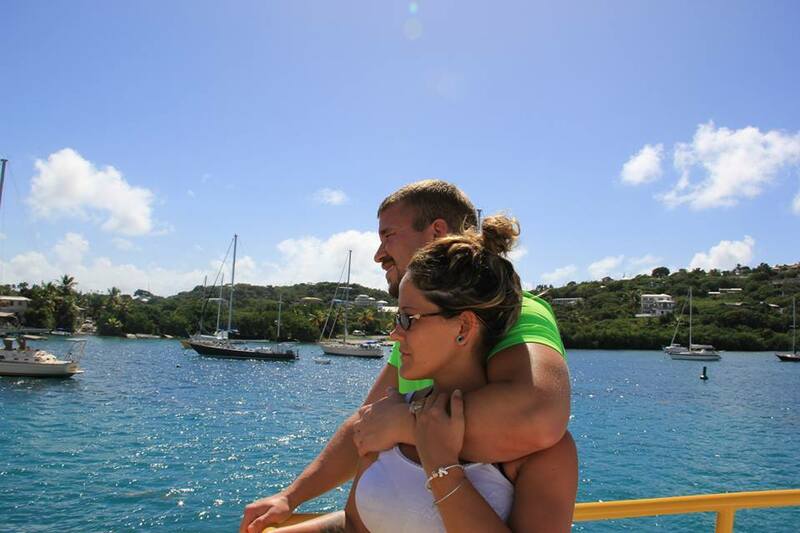 ‘Teen Mom 2’ stars Jenelle Evans and Nathan Griffith recently got engaged while vacationing in St. Thomas with Nathan’s brother, sister in law and a couple friends. MTV was there to capture the special moment for an upcoming season of the show. There was a lot of drama between the group about the experience which led to a internet war when some unflattering videos of Jenelle were posted online. Read all about that mess here. One of the more interesting things to come out of this drama was the accusation that Jenelle and Nathan lied to MTV about their engagement. According to their friends who accompanied them on the trip, Candice and Patrick, Jenelle and Nathan had already gotten engaged the week before their trip and that the who proposal scene was faked. 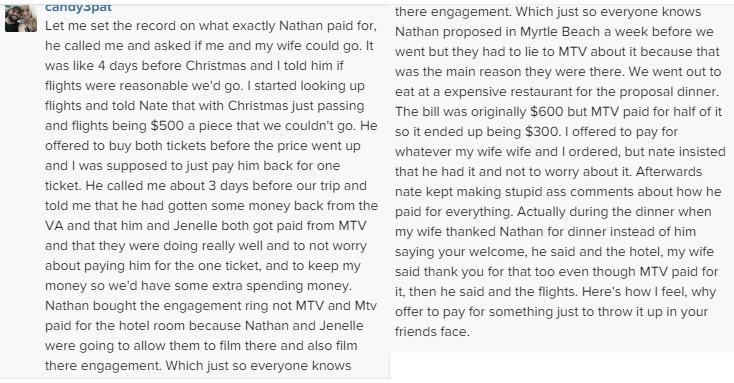 “Nathan proposed in Myrtle Beach a week before we went but they had to lie to MTV about it because that was the main reason they were there.” Candy and Pat stated on instagram. This isn’t really uncommon for reality tv. The cameras can’t always be there when things happen. (For example, when Jeremy proposed to Leah on camera at a cabin… that was really the second time proposing to Leah. The two were already engaged when they filmed that scene.) “Everything is fake. They told us to ask about her mom or her son. They told me to ask about how happy her and Nathan are. It’s all fake…” Candice and Patrick shared on instagram. The couple also claim that Jenelle and Nathan were fighting like cats and dogs with each other and the group for the entire trip. Previous Previous post: Maci Bookout & Family in a Terrible Car Accident! I am also not surprised by Nathan actions. Nathan Griffith is such a loser. He only hooked up with Jenelle for the pay checks from MTV. Once the show is canceled (seriously) how long can this show last.Jenelle must be off her medication if she really wished some one dead, that is a horrific coment. You are so right! I never thought this relationship would work, with Janelle’s attitude and other things… And Nate being such a loser! I’m a Jeep enthusiast and I’ve seen hundreds of nasty wrecks involving Jeeps, especially Wranglers and I can say that the vast majority of people walk away from such nasty wrecks. The Jeeps may not ride smooth but they sure are safe. Do you even know the history of Jeeps? Two-doors are NOT safe. Just FYI.